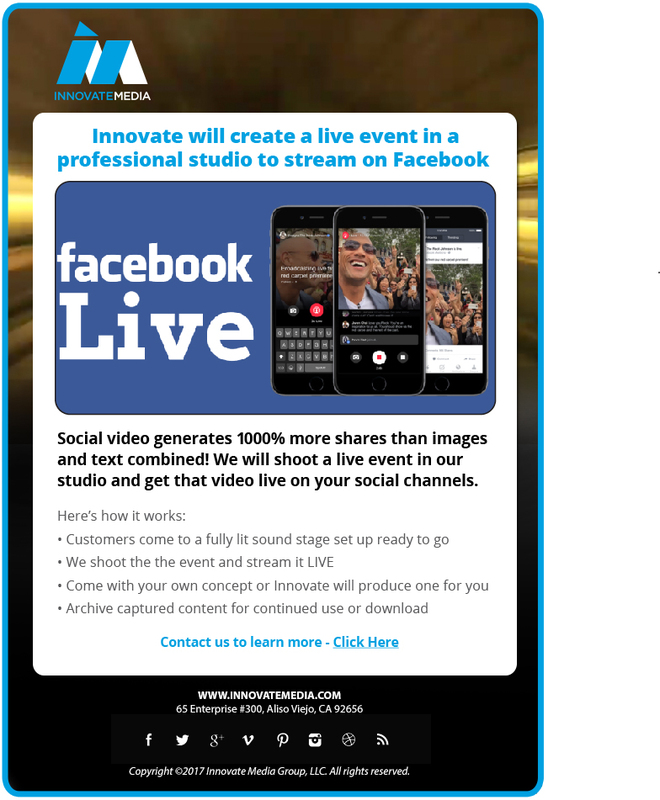 Innovate Media has started offering customers “Facebook Live” productions for their social media efforts. You know how difficult it is creating great content for social media and everything is moving to video. We are addressing this by shooting live events (creating actual shows) in a studio and taking care of all of the technology with getting things live on Facebook and other social channels. The energy around this right now is absolutely incredible and its really social media 2.0 – definitely the direction things are going. Contact us today for more information and pricing.